Two Options For Dry Rub Marinated Baby Back Ribs | Let's Cook With Bry! 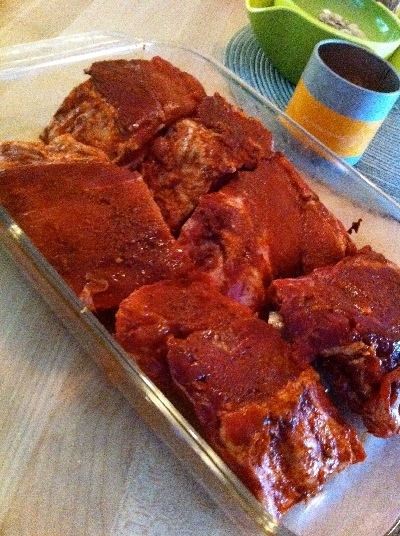 While I have always made “country style pork ribs” (which are, in fact, not ribs at all, but are from the pork shoulder), I recently decided to try this recipe for baby back ribs (also known as loin back ribs). It’s from a Paula Deen episode with Bobby Flay as the guest chef – how can you go wrong with that combination! Take a slab of baby back ribs and remove the membrane from the back – this is an important step, not only so that the dry rub will infuse into the back side of the ribs, but also because the membrane is NASTY and you don’t want to eat it! 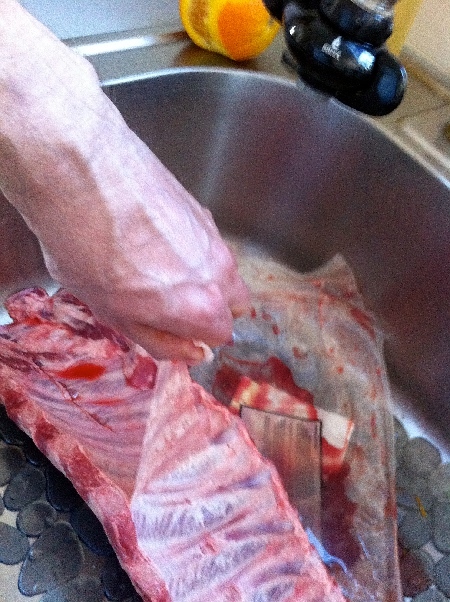 Cut the slab into 2-rib portions. 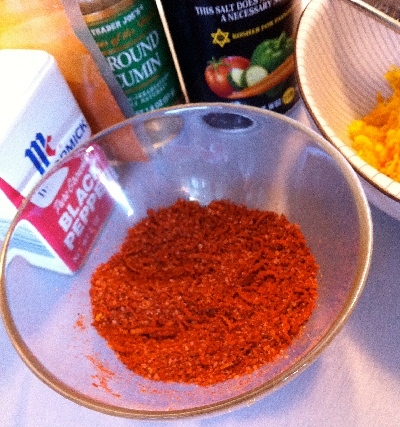 Rub the spice mixture all over the ribs. Place the ribs in a dish or on a cookie sheet, cover with plastic wrap, and refrigerate them for at least 2 hours or up to 12 hours – or overnight. When you’re ready to cook them, preheat the grill on low heat. 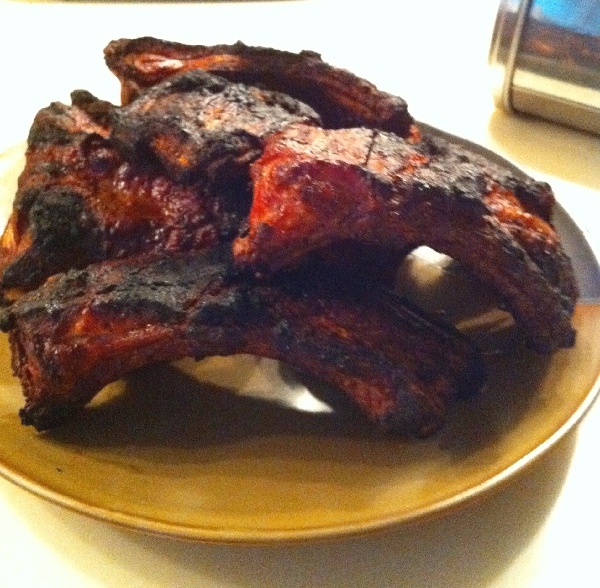 Arrange the ribs on the barbeque and grill for 30 to 40 minutes, turning with tongs occasionally until meat is tender and crisp on the outside. Be sure you don’t overcook them, as they’ll dry out and/or shrivel away. You can serve them with a side of a good, spicy barbeque sauce, or just as is. My scribbled note says to slow cook them in the oven at 350 degrees for 45 minutes on a rack above water, tightly sealed, then finish them on the barbeque.